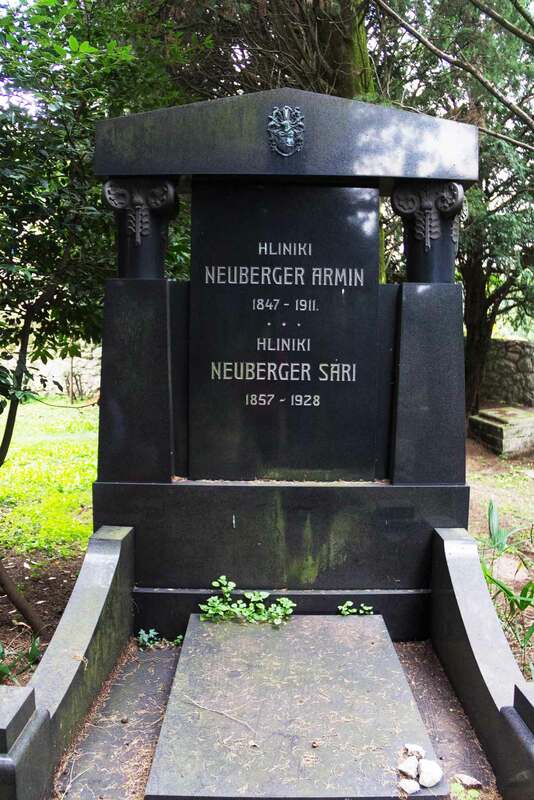 but whenever I have tried to find any information about living grandchildren, I was told that none of them lives in Rijeka today, and that there is no information about the Neuberger von Hliniki family. I would be very happy to get information about any of them. We don’t have further information or documents, but we’ve found obits from your family (are added above). 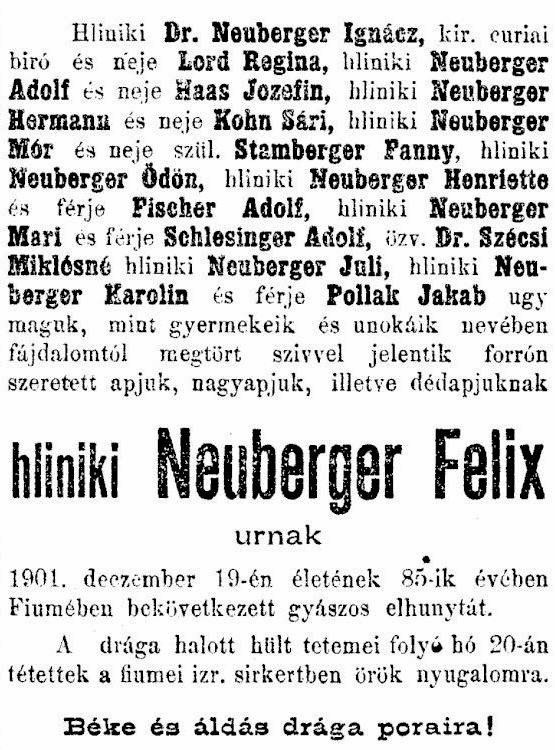 As we don’t read or speak Hungarian, we hope that you can find new traces of your family. Good luck! Many, many thanks dear Johannes! for the obits you have found. They contain important information about my family. The origin of your family lies in whats today is Slovakia. 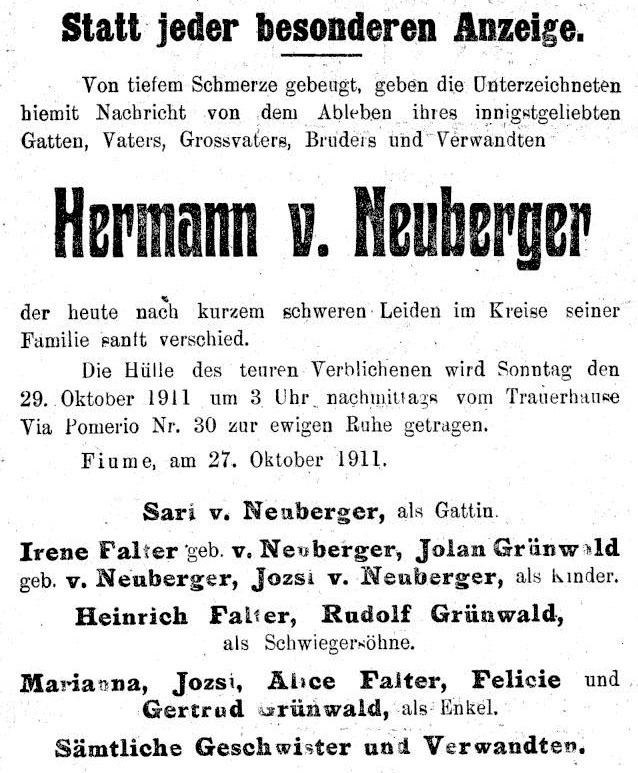 The Neuberger family used to come from the village Hlinik, near todays Bytča. From thsi comes their noble „predicat“ de Hliniki. Do you have any records, pictured of your ancesters? 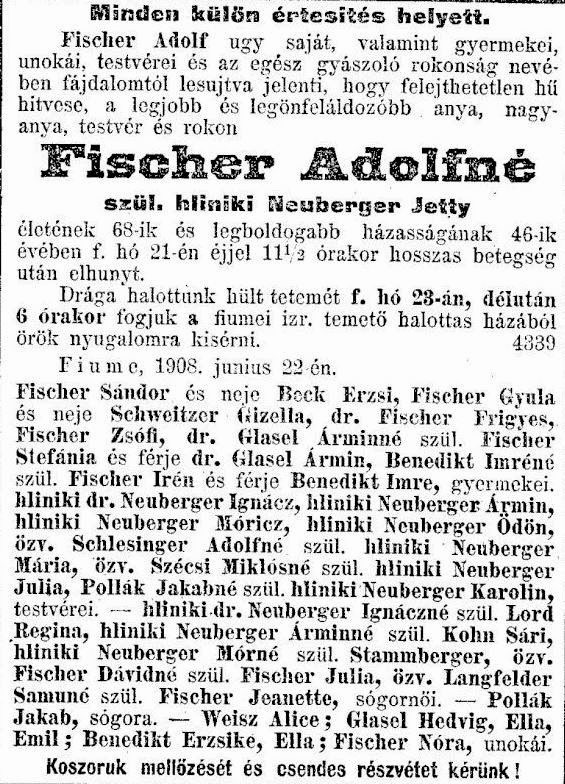 I am working on a project about jeiwsh noble families from todays Slovakia and every help would be a help.